The Autumn market is in full swing - children are settled back at school and the summer holidays are a long distant memory. The incredible summer weather, the on going Brexit negotiations and the latest Bank of England's predictions dominated much of the news over the summer and early Autumn. However, as we head in to the final quarter of 2018, we are pleased that common sense prevails and we are happy toreport the property market is proving to be resilient to external influences. 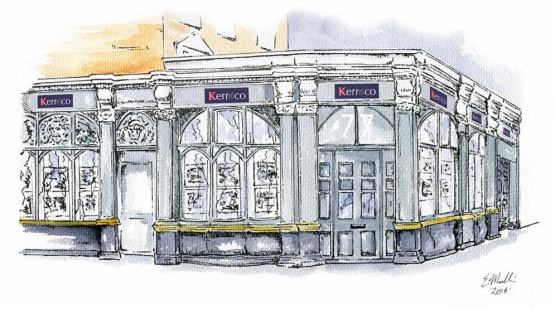 At Kerr and Co we have received calls from many prospective buyers who are conscious of the potential impact of Brexit and interest rates. Nevertheless, despite their concerns, they are still moving forward and making strong offers, especially the family market - for these individuals onesimple truth remains “real life”, pressing issues families face, along with the yearly scramble for a places at the local primary or secondary schools. September is the start of a new academic year and for many the start of strategic planning for the coming years. The shortage of school places tends to lead to a increased demand for homes in the catchment areas and in Shepherd’s Bush and Hammersmith this is no different. There are a number of outstanding local schools, which have remained high on the league table for many years. As a consequence we have noted a rise in young families who have traded up their flat to family house and have stayed local - many families move just a few roads away to be nearer a tube station for ease of access to their children’s school. The excellent transport links, incredible local facilities and exceptional community spirit this part of London offers are also driving factors in many peoples decision to remain locally. Having been in the business for over 25 years, I have the experience to help clients through difficult sales and tricky negotiations. I am fortunate to have highly skilled and knowledgeable staff who are able to guide, reassure and get the best results for our clients. Finding the right house in the right area is important, however being in a good position to move at a time convenient for all is key, especially in the current climate. I firmly believe the west London property market is stable and given the broad spectrum of facilities and ease of access, it is a great place to put down roots.